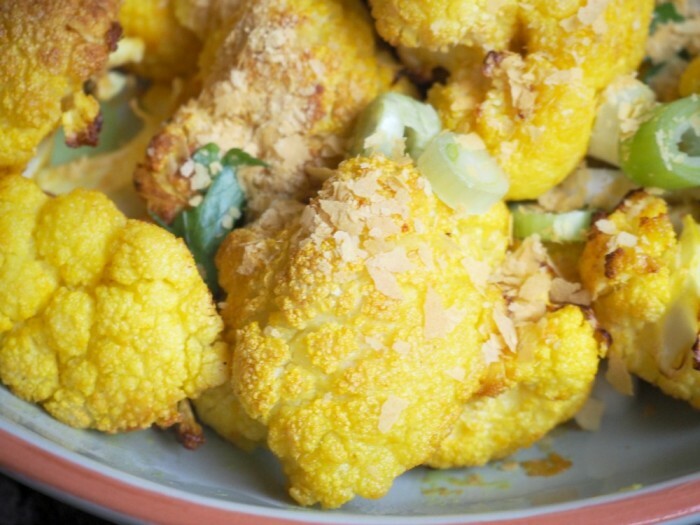 Did you know cauliflower contains Vitamin C and folate, which help to prevent anaemia? I love cauliflower any and every which way but roasting really brings out it’s nutty sweetness. This is easy, healthy and really delicious! You can add some nutritional yeast flakes to supercharge this side – they’re high in Vitamin B and you’ll find them at any good health food store. I call them cheesy flakes because they taste cheesylicious! Preheat oven to 200 C or 180 C fan-forced. Combine oil, juice, garlic and spices in a small bowl. Season well. 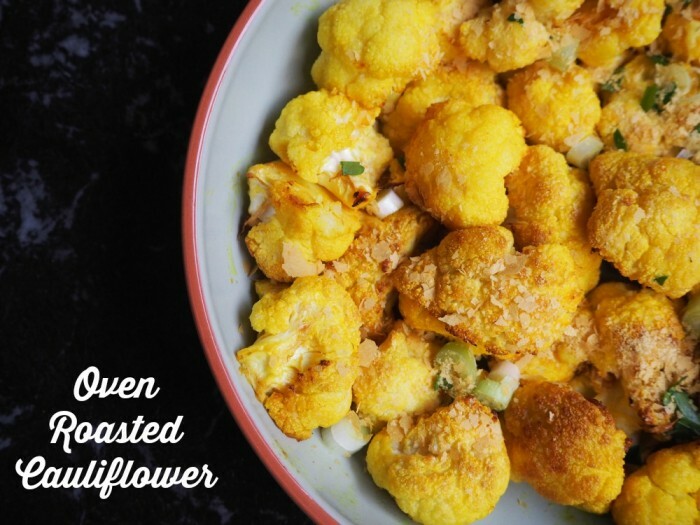 Spread cauliflower florets in a baking dish and pour the dressing over the top. Toss well to evenly coat florets. Roast for about 40 minutes, until the cauliflower is golden and crunchy. Sprinkle with yeast flakes, onion and coriander.